TightVac is a patented vacuum-sealed food storage container that keeps items fresh up to 3x longer than conventional containers. Tired of your food going stale just days after you have purchased it? How about those cookies you bought last week – Taste a little strange? Looking forward to those Cheese puffs you bought Two days ago? But they aren’t crunching anymore? OOHHH they taste like wet card board. How about baking some cookies for the family? – Oh no! – Weevil bugs have invaded my flour, cereal and oatmeal!!! YUCK!!! These are all problems of the past – Because with the Tightvac Food Storage System these things will not happen anymore. We guarantee it!!! TightVac Facts & Information - Tightvac Closure System is NEW! Tightvacs have the easiest open and close system of any container on the market! Tightvacs are sold all over the world! There have been over 5 million Tightvacs sold globally.Tightvac’s are Airtight, Water Resistant and Smell Proof! Tightvacs come in 10 different sizes and a variety of colors. Organizers all over the world are using The Tightvac food storage system to make their kitchens the envy of the neighborhood! The variety of colors allows the customer to create a color-coded storage system. Tightvacs come in Clear and Solid body styles facilitating diversity in storage. The Solid container is ideal for any light sensitive good, from expensive spices and mushrooms to light sensitive electronic equipment. Tightvacs benefit the environment conserving food longer, making for less food dumped into the garbage pile. 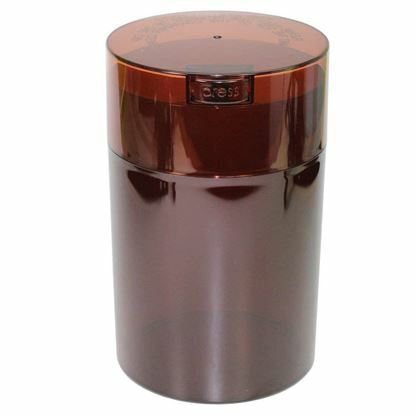 The long-lasting durability of the container makes for many years of use, cutting down on the disposable nature of containers. Saving our environment from the never ending pile up of “disposable” plastic bags in landfills.